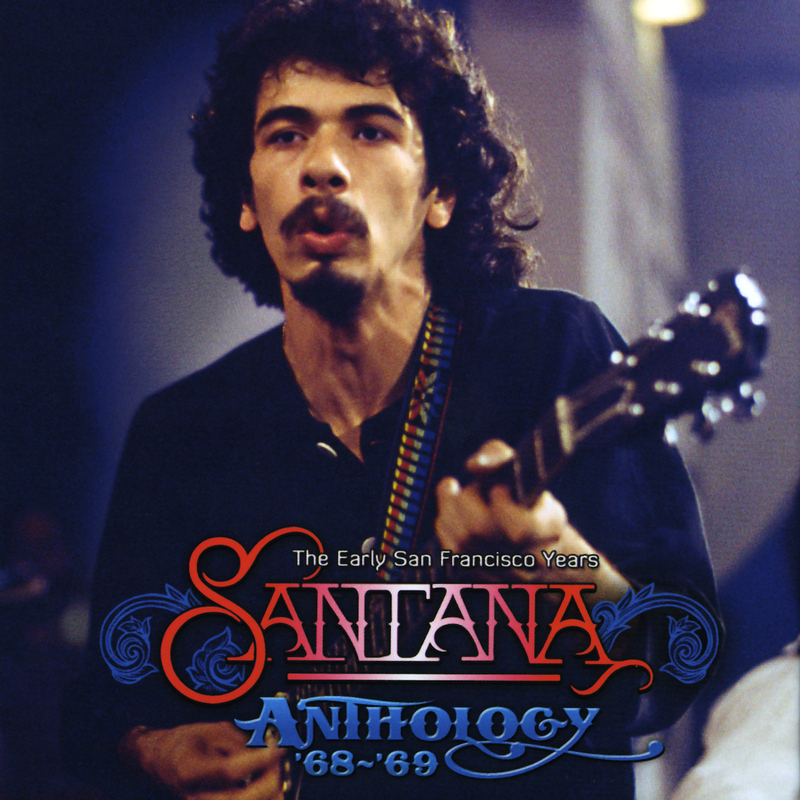 An excellent 3CD box set of early studio and live recordings from San Francisco legends, Santana! SKU: 7143. Categories: Audio CD, Box Set, Cleopatra, Rock. Features early incarnations of the hit singles “Evil Ways” and “Jingo” PLUS ripping covers of “With A Little Help From My Friends,” “Every Day I Have The Blues” and so much more! Packaged in our most attractive unibox with rare photos, liner notes, psychedelic bandana/wall hanger and more! Santana, both the band and its eponymous leader, guitar virtuoso Carlos Santana, changed the American rock world forever, injecting Latin rhythms and percussion into the bluesy sound of ‘60s era rock. This unique collage of styles, sustained over an impressive 36-album career, earned Santana a venerated spot in the Rock N’ Roll Hall Of Fame. And it all began in San Francisco, where Carlos and company honed their chops in performances at Bill Graham’s Fillmore Theater, and later recorded a series of demos that would eventually land them their first recording contract with Columbia Records. This remarkable 3CD box set documents those crucial early years, offering up glimpses into the fledgling incarnations of classics such as “Evil Ways” and “Jingo.” Even more impressive is the raw, unbridled energy the band brings to favorites like “With A Little Help From My Friends” as well as a full disc of experiments in improvisation that brilliantly showcases the steady, confident hand of the legendary Carlos Santana!